Apple Card has awesome features but the most important of them all, at leasts from a security standpoint, is probably the ability to generate virtual card numbers on demand, which will come in handy for those times when you won’t necessarily trust the recipient. And when you do that (create a virtual card), Apple will automatically make its number available as an AutoFill option in Safari across your iPhone, iPad and Mac. The physical Apple Card has no number. The app displays the last 4 digits of the card number that is on the mag stripe of the card only, you never see the full card number. Instead, Apple provides a virtual card number and confirmation code (CVV) for the card in the app. You can use this for non-Apple Pay purchases online or over the phone. This number is semi-permanent, meaning that you can keep using it as long as you want. But you can hit a button to regenerate the primary account number, providing you with a new credit card number at any time. This is great for situations where you’re forced to tell someone your card number but do not completely trust the recipient. Card numbers are manually regenerated only, and do not automatically rotate. There is, currently, no single-use number support or single-merchant number support. Each purchase requires a confirmation code, making it even harder for someone to use your card, even if skimmed or copied, to make online purchases. Some innovative fintech startups already do this. As an example, an awesome payment and banking service called Revolut makes it a cinch to create up to five disposable virtual Visa debit cards as one desires (one for Amazon, another one for PayPal, yet another one for eBay, you get the idea). But what about disposable virtual cards and recurring payments? If you use Apple Card for a subscription or ongoing service, it’s possible you’ll have to re-enter your info if you regenerate your card—though many, many retailers—especially if they have ‘Card on File’ systems already use account updater services. 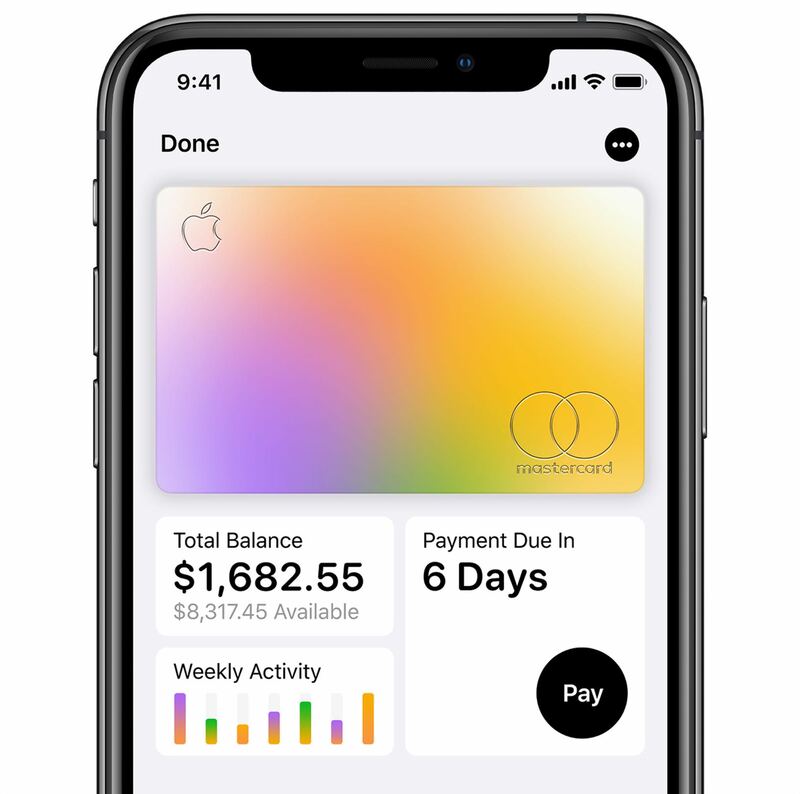 These services can pull the new number from Mastercard to make sure that recurring payments remain in place and Apple Card members will have nothing to do. That old number is, however, completely invalidated. Another detail caught my attention. According to Panzarino, the physical card has a fixed number on its magnetic stripe but the customer doesn’t know what it is. It’s important to note that the number you have in the app and the number that are on the magnetic stripe can be totally different and it doesn’t matter. You’ll only really know the last 4 digits of your primary account number on the physical card. So what happens if you lose the card or it gets stolen? Easy, you will be able to instantly freeze the card in case of theft or fraud, right on your iPhone, with just a few taps in Settings. Similar to the AirPods pairing process, you will activate the physical card by bringing it near your iPhone, which will cause iOS to display the setup card. You can pay your card balance via ACH from a bank account or through Apple Cash using another card associated with it. Failing to pay your outstanding balance on time will impact your credit score, as Apple does do standard reporting, but neither Apple nor Goldman Sachs will increase your interest rate due to late payment. Apple Card users will be placed at the low end of the 13-24 percent interest rate. Apple Card does not require or display signatures. The physical Apple Card does not support contactless payments. Every purchase with Apple Card requires biometric identification aside from purchases with the physical card. Replacement titanium physical cards are free. The exchange rate for foreign transactions is determined by Mastercard. You must use factor authentication on your Apple ID in order to sign up for your Apple Card when it launches. If you sign up for an Apple Card and later switch to another platform, you’ll be able to continue using the physical card and paying your bill, but without the majority of the cash back or security benefits. Your data that Goldman Sachs can access can be used for internal reporting but cannot be used for external or internal marketing or advertising. Apple Card is powered by Gold Sachs and Mastercard. It will be available to qualified customers in the United States this summer. To increase your security and prevent skimming, the physical card has no numbers or names printed on it. Apple Card customers will receive cash backs every day based on how much they spend and how: one percent with the physical card, two percent on Apple Pay purchases and three percent on everything bought from Apple, including apps, games and subscriptions. The cash back is delivered daily to your Apple Cash balance or to the card monthly as a credit balance if you don’t have an Apple Cash account. Are you planning on signing up for an Apple Card when it launches in May?